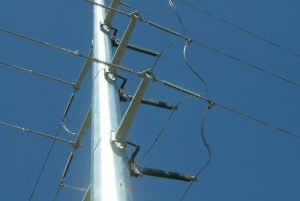 115 kV, horizontal line post, single steel pole, double-circuit line. DGR service included MN local review permitting, design, construction staking, and construction management. 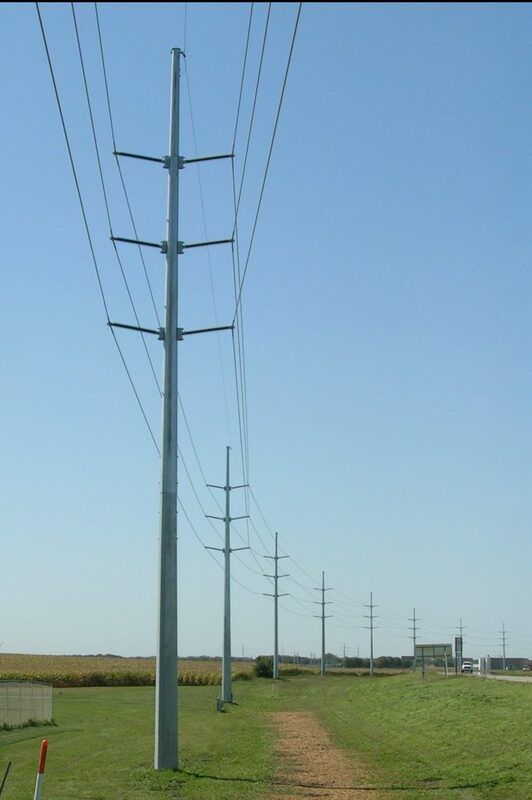 Working with the MN DOT during the permitting and design process for a transmission line. Coordinating the material purchases for all of the major transmission line materials. This included developing material specifications and managing the bidding, shop drawings, and delivery processes. Working with many different entities during different phases of the project. 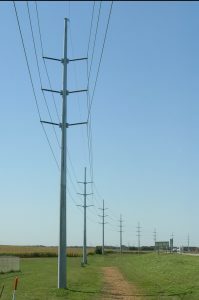 This included the MN DOT, other power companies, governmental bodies, surveyors, and all Contractors. 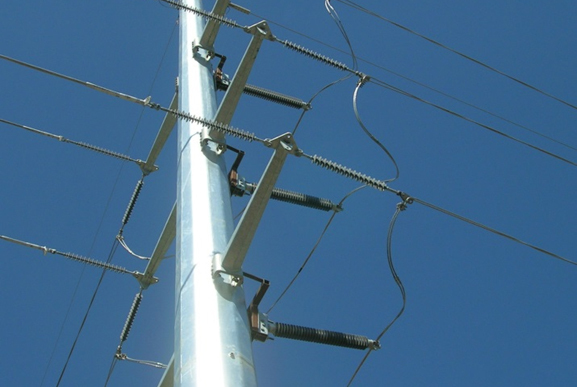 The project included full services for a 1.7 mile, double-circuit 115 kV line. The project required coordination with many different entities, including the utility company for relocating existing underground facilities, and with MnDOT permiting the line in the DOT right-of-way. DGR services for this project included permitting, coordinating the design survey, design, construction administration, construction staking, and resident project observation.